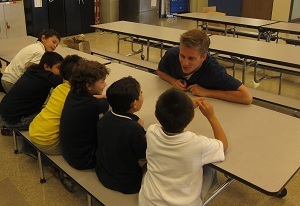 The Dental Health Ambassadors program is the educational outreach component of the UCSD Pre-Dental Society. Members are trained and certified as Dental Health Ambassadors with the help of the Share-the-Care Dental Initiative of San Diego County to raise awareness for the importance of oral health. 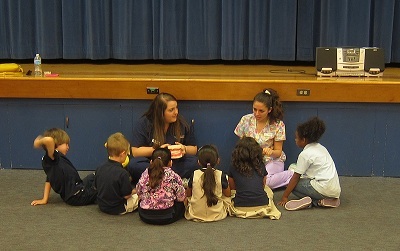 Dental Health Ambassadors visit schools, churches, homeless shelters, health fairs, clinics, and more! Although dental disease is infectious, progressive, and transmissible, it can be prevented. DHA focuses on preventing oral decay and diseases by providing the surrounding community, particularly children, with simple techniques and information to maintain good oral health. Through this program, we hope to instill in our community that oral health is valuable and very much a significant aspect of one’s overall well-being. We hold training sessions in partnership with Share-the-Care Dental Initiative every academic quarter. To hear about the newest DHA events or training sessions, please sign up on our mailing list. If you would like to get ahead in your Dental Health Ambassadorship Training, please download our DHA Training Presentation. To contact us, please email us at dha@ucsdpds.org. Here is a collection of resources and educational materials we use for various DHA events. If you are going to a DHA event or want to learn more about oral hygiene and health, please take a look and learn!